READ BELOW ABOUT THE ESSENTIAL OIL INFUSED SUPPLEMENTS THAT SUPPORT longevity and a youthful, supported body! NingXia Red® is a sweet and tangy drink, with a formula that includes the ancient wolfberry, which is touted for its health benefits. A daily shot of 2–4 ounces helps support overall wellness with powerful antioxidants. The first step to optimal wellness for both men and women in every area of their physical, emotional, and everyday life is to drink this daily! Click here to learn more about this product. OmegaGize³ combines the power of three core daily supplements: omega 3 fatty acids, vitamin D-3, and CoQ10 (ubiquinone). These supplements combine with a proprietary enhancement essential oil blend to create an omega-3, DHA-rich fish oil supplement that may support general wellness and a healthy immune system, which could lead to a longer lifespan. Used daily these ingredients work synergistically to support normal brain, heart, eye, gut, and joint health. Click here to learn more about this product. MindWise supports normal cardiovascular health and cognitive health. It has a high proportion of unsaturated fatty acids and omega-3 fatty acids. 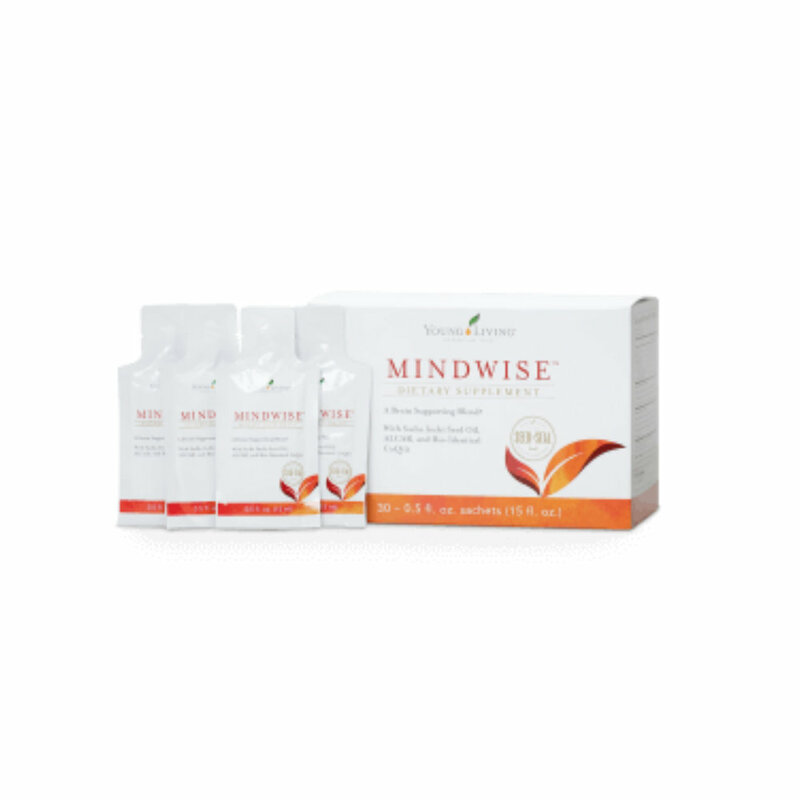 MindWise also includes the proprietary memory function blend made with bioidentical CoQ10, ALCAR, and GPC, ingredients that have been studied for their unique benefits. With generous amounts of vitamin D3, this premium supplement is equipped to support normal brain function and overall cognitive and cardiovascular health, which could lead to a longer life. Click here to learn more about this product. Keep your mind sharp as you age with MindWise single-serving packets! These convenient sachets make it easy to take this supplement for heart and brain function anywhere you go. With a vegetarian oil made from cold-pressed sacha inchi seeds and other medium-chain triglyceride oils, MindWise has a high proportion of unsaturated fatty acids and omega-3 fatty acids. With generous amounts of vitamin D3, this premium supplement is equipped to support normal brain function and overall cognitive and cardiovascular health. Click here to learn more about this product. Sulfurzyme is a popular supplement for keeping hair, skin, and nails youthful looking and healthy. It combines wolfberry with MSM, a naturally occurring organic form of dietary sulfur needed by our bodies every day to maintain the structure of proteins, protect cells and cell membranes, replenish the connections between cells, and preserve the molecular framework of connective tissue. MSM also supports the immune system, the liver, circulation, and proper intestinal function and works to scavenge free radicals. Click here to learn more about this product. Longevity is a supplement that contains four therapeutic essential oils, and has an antioxidant value of over one million which is 1,000 times higher than strawberries. Take daily to strengthen the body’s systems to prevent the damaging effects of aging, diet, and the environment. It protects DHA levels, a nutrient that supports brain function and cardiovascular health, promotes healthy cell regeneration, and supports liver and immune function. Available in a bottle containing 30 liquid softgels. Click here to learn more about this product. Longevity Vitality is a powerful combination of essential oils, including Thyme, Orange, Clove, and Frankincense. It can be incorporated into a wellness regimen along with other Young Living favorites, such as Master Formula, AgilEase, and Life 9, and is a fantastic supplement that your senior parents or grandparents will love. Perfect for those looking to get the most of their silver years, Longevity Vitality is the perfect choice to support a healthy immune system and overall wellness. Click here to learn more about this product.